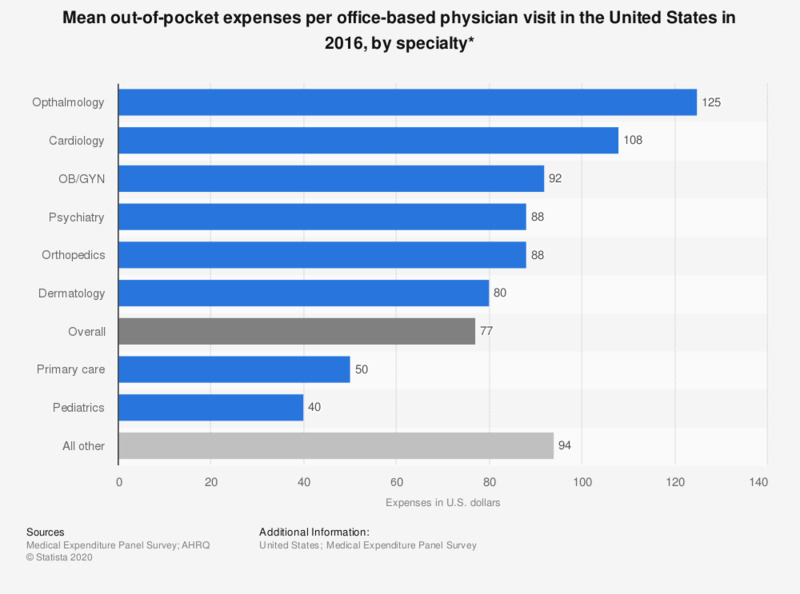 This statistic shows the mean out-of-pocket (OOP) expenses per office-based physician visit in the United States in 2016, by specialty. Mean OOP expense through all visits for the specialty of dermatology was 80 U.S. dollars. * Per office-based physician visit with any out-of-pocket payments.